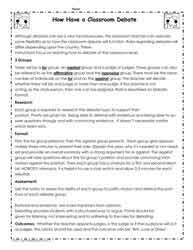 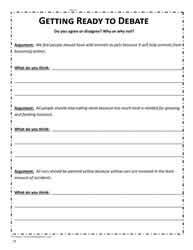 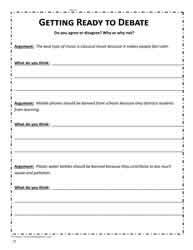 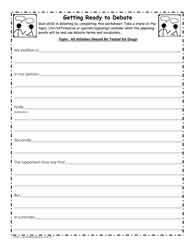 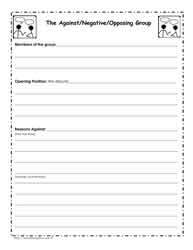 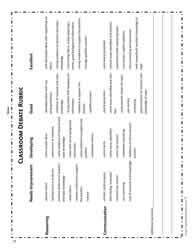 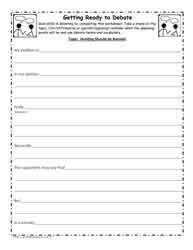 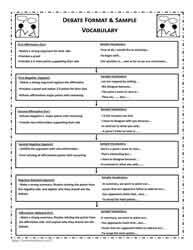 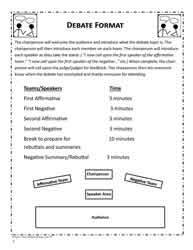 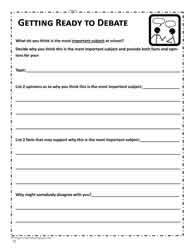 Classroom debate worksheets for middles grades and high school. 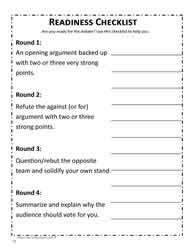 Use these worksheet to learn how to debate and how to prepare for a debate. 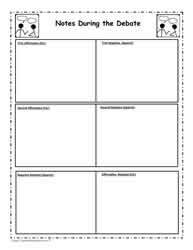 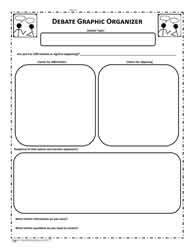 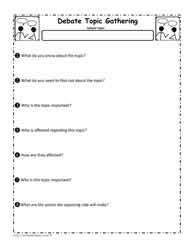 These worksheets support higher level thinking in the classroom. 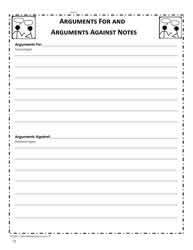 You'll find debate topics, information on how to debate and graphic organizers to help students organize their thinking around their debate topic. 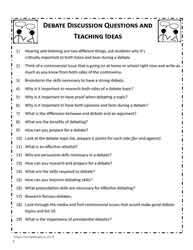 Help young learners with debating skills.